When the going gets tough, gold gets going. That was one aspect to business on the Australian stock market this week with traditional gold leaders, such as Northern Star and Evolution, having a great time, while the new nugget hunters had a horrid time. The difference between long-term, handsomely profitable goldminers with known reserves and long-life production and the new players in the gold game was a perfect example of the old saying about “a bird in the hand being worth two in the bush”. In the case of gold companies, old and new, it might reasonably have been expected that all players in that space would do well, simply because gold rose a few dollars (in US and Australian currency) while most other metals fell, especially iron ore, thanks to Chinese ports hanging out the “full” sign. That wasn’t quite how it worked out as investors shifted from the speculative appeal of nugget hunters in the Pilbara region of WA to the known attributes of gold miners with proven track records. 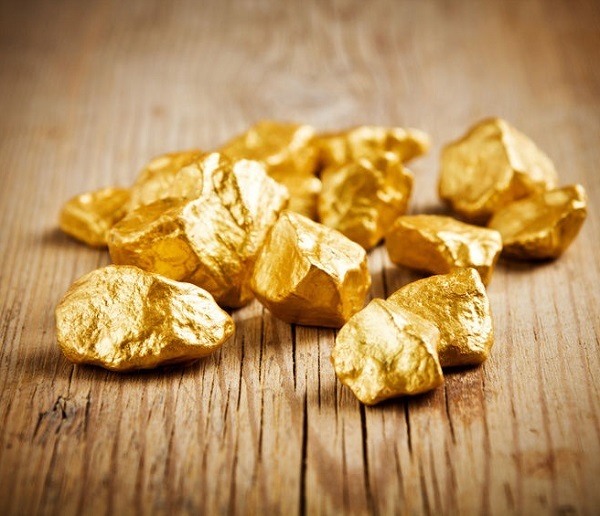 Northern Star, for example, added a modest 24c to $5.76, but did trade up to a 12-month high of $5.78 on Wednesday and Thursday, thanks to its underlying flow of profits and an Aussie gold price that rose from $A1666 an ounce to $A1683/oz, a function of the US gold price (up slightly) and Australian dollar, down slightly. Evolution was another gold producer popular with investors, adding 8c to $2.54. Meanwhile, in nugget land, enthusiasm is showing signs of fading as the reality of the need to finance hard-core exploration, such as getting on with the wide-diameter drilling which has been conspicuously absent, but is essential to prove that the Pilbara nuggets are more than a flash in a prospector’s pan. Nugget leaders and the spec darlings of the past few months were largely down this week. Even Novo, the Canadian explorer largely responsible for the nugget frenzy, was in decline on the Toronto stock exchange, retreating from $C8.49 at this time last week to latest sales at $C7.18. On the ASX, Novo’s partner, Artemis, lost 16c since the start of the week to trade at 41.5c, rubbing $51 million off the stock’s market value. De Grey, another nugget hopeful, shed 11c to 25c, and Segue, a newcomer to nugget-land, was 1.1c weaker at 6.1c. The novelty of nugget-gold might have faded but investor appetite for good news from exploration projects was as keen as ever, especially for base metals (copper and zinc) and battery metals (lithium, cobalt and graphite). Great Boulder Resources delivering on the promise which has made it a must-follow stock with initial assays as high as 4.3% copper and 0.1% cobalt from drilling at its Mt Venn project east of Laverton in WA. The relatively shallow mineralisation appears to indicate a wide zone of primary copper, nickel and cobalt sulphide mineralisation. On the market, Great Boulder shares rushed up from 28c to 71c on Monday before easing back as profits were taken to end at around 44c, up 57% for the week. Golden Mile was another discovery story that excited investors with last Friday’s report of thick and rich nickel and cobalt grades from drilling at its Quicksilver project in WA continuing to drive the stock this week with a rise from first discovery news to yesterday totalling 60c (160%) with the latest price of 98c, just short of Monday’s 12-week high of $1.06. Venture Minerals was so impressed with Golden Mile’s assay results that it rushed to peg an exploration lease immediately along strike from the Quicksilver discovery. “Nearology” worked well for Venture, which enjoyed a rise of 11c (38%) to reach 40c. Todd River had its best week since listing earlier this year with a share price rise of 4c to 15.5c after announcing highly encouraging rock chip samples from its McArthur River copper project in the Northern Territory. The best reading was 44.5% copper. On the market, Todd River shot up to 18.5c for a gain of 7.5c (68%) before easing back to 15.5c. Cassini and Oz Minerals probably expected a better reaction to their news that the jointly-owned West Musgrave nickel and copper project, which includes the historic Nebo and Babel discoveries, was moving to a pre-feasibility study. Investors fretted about the remote location of the project near the intersection of the borders of WA, South Australia and the Northern Territory. Cassini fell by 3.9c (34%), perhaps because the study of the remote project will require fresh funding, while OZ lost 33c to $8.32. Oil and gas stocks crept back onto investors radar screens this week with Woodside Petroleum finally breaking free of Royal Dutch Shell, a US fund started hunting Santos and AWE announced a substantial increase in gas reserves at its Waitsia discovery in WA. AWE shares have been moving higher in sympathy with the oil price, gaining 10c to 51c since mid-year, but down 4c this week because the company used the discovery news to top up its balance sheet with a $38 million capital raising. Other cobalt explorers to have a reasonable week included Quest Minerals, which has signed a deal to acquire cobalt prospects in Australia, lifting the rarely mentioned stock by 2.2c (68%) to 5.4c, and Trek Metals, which rose by 0.3c to 3.9c after acquiring tenements with lithium and cobalt potential in the Northern Territory.